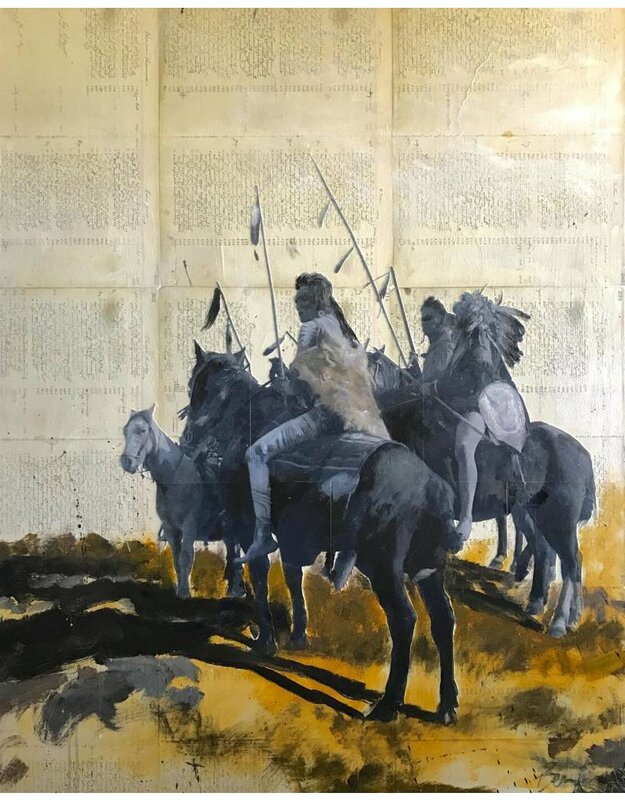 "My journey as a storyteller stands as a continuation AND PROTECTION of our contemporary INDIGENOUS cultures"
At 27 years old, Crow/Northern Cheyenne artist Ben Pease stands firmly upon the ideal of education via creativity, as a contemporary storyteller. He and his family are currently residing near Billings, MT, USA. 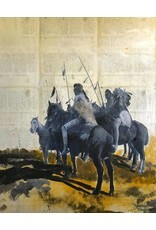 Pease's work is well known for its unique and culturally relevant style using historic photographic references while also touching on current events and issues simultaneously. You may have seen his use of both antique and contemporary items collaged into his work to create literal and conceptual reference points. As minorities in the world of Art, contemporary Indigenous artists are confronting issues like cultural appropriation, exotification, racism and stereotype disguised as appreciation and oblivion. Pease's work continually yet respectfully asks how & why? "Many times, the question is more important than the answer. What really matters, is the path." Exploration & Knowledge are the driving force behind the Artist's creativity. Keep your eye on this Artist for years to come.